Amy Feldman in the group exhibition RIOT GRRRLS, curated by Michael Darling at Museum of Contemporary Art Chicago, Chicago, IL. 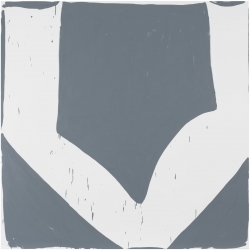 Other artists: Tomma Abts, Ellen Berkenblit, Mary Heilmann, Joyce Pensato, Jackie Saccoccio, Charline von Heyl, Molly Zuckerman-Hartung, etc. 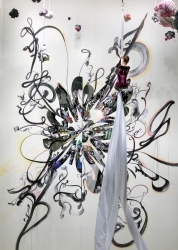 Solo show Angel Otero: Everything and Nothing at Contemporary Arts Museum, Houston, TX. 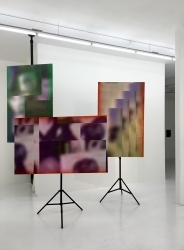 Two-person show Fold and Unfold: Kate Steciw & Letha Wilson at MACRO MuseO d'Arte Contemporanea Roma, IT. 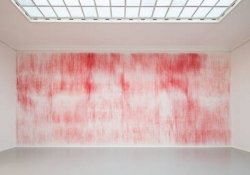 Ori Gersht in the group exhibition Prix Pictet - Disorder at Kunstverein in Hamburg, DE. 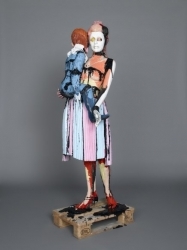 Letha Wilson is featured on Culture Trip. Raffi Kalenderian in the group exhibition Painters' Painters at Saatchi Gallery, London, UK. 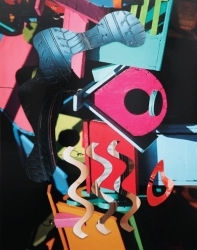 Other artists: Richard Aldrich, Dexter Dalwood, Bjarne Melgaard, Ryan Mosley, David Salle, etc. 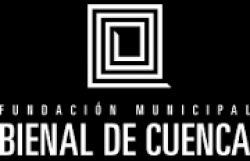 Shinique Smith at XIII Bienal De Cuenca, Cuenca, EC. 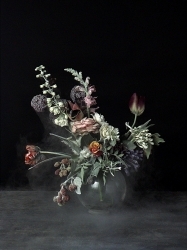 Ori Gersht in the group exhibition Prix Pictet - Disorder at Gallery of Photography Ireland, Dublin, IE. 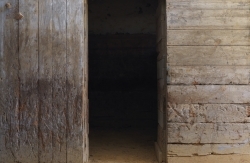 Bosco Sodi in the group exhibition Wirikuta (Mexican Time Slip), curated by Nicolas Bourriad, at Museo Espacio, Aguascalientes, ME. 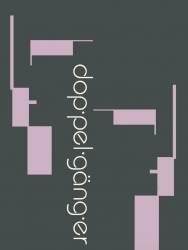 Other artists: Carsten Holler, Marlie Mul, Philippe Parreno, Laure Prouvost, Pamela Rosenkraz, etc. 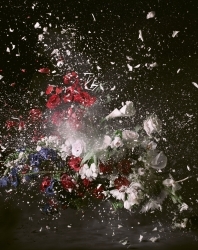 Ori Gersht in the group exhibition Visions in The Nunnery at The Nunnery Gallery, London, UK. 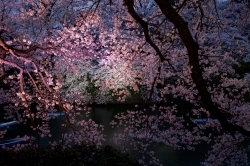 Ori Gersht in the group exhibition Prix Pictet - Disorder at Bank Gallery, Tokio, JP. 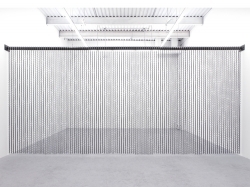 Solo project Deborah Kass: Day After Day at Neuberger Museum of Art SpaceI42, New York, NY. 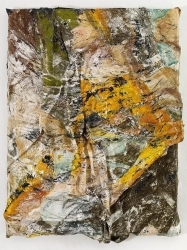 Paul Czerlitzki in the group exbition Die Erfindung der Abstraktion at Kunstakademie Dusseldorf, Dusserdolf, DE. 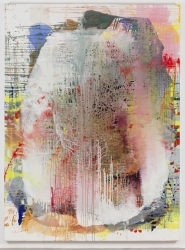 Others artists: Pia Fries, Paul Klee, Imi Knoebel, Albert Oehlen, Blinky Palermo, Michael Van Ofen, etc. Josh Reames will have a lecture in the Academic Program “Visiting Artists” at PAFA Pennsylvania Academy of the Fine Arts in Philadelphia. We're proud to announce that Shinique Smith has won the Anonymous Was Woman 2016 Award. 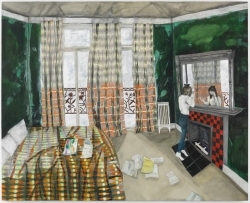 Alain Biltereyst in the two-person show Intimate Edges with Svenja Deininger at The Embassy, Brussels, BE. 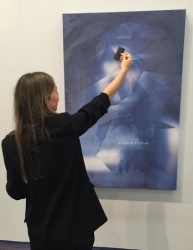 Josh Reames is featured in the article "Sunday, The Young Fair in London during Frieze, Open with Solid Sales, Chill Vibes" on ArtNews. 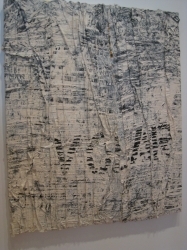 Letha Wilson in the group exhibition The Sun Placed in the Abyss at Columbus Museum of Art, Columbus, OH. 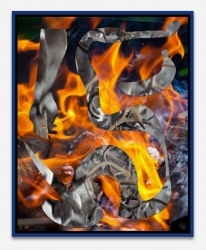 Other artists: Anne Collier, Tacita Dean, Shannon Ebner, Sam Falls, Hans-Peter Feldman, Dan Graham, Zoe Leonard, Sol Le Witt, Catherine Opie, Anthony Pearson, Richard Prince, Hugh Scott-Douglas, Simon Starling, Diana Thather, Wolfgang, Tillmans, James Welling, etc. 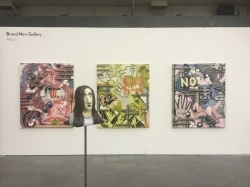 We're pleased to announce that the Josh Reames' works Dried Out and Self Titled are now officially part of the Zabludowicz Collection. 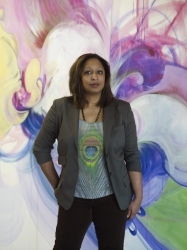 Shinique Smith in the group exhibition Decade by Decade: Art Acquired in Its Time at Weatherspoon Art Museum, Greensboro, NC. 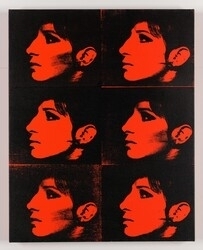 Deborah Kass at The National Museum of Women in the Arts, Washington, D.C.
Deborah Kass in the group exhibition NO MAN'S LAND, Women Artists from the Rubell Family Collection at The National Museum of Women in the Arts, Washington, D.C.
Deborah Kass in the group exhibition Human Interest: Portraits from the Whitney Collection at Whitney Museum of American Art. 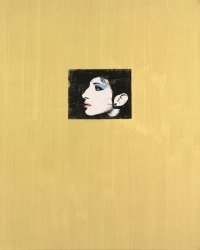 Other artists: Jean-Michel Basquait, Alexander Calder, Chuck Close, Willem de Kooning, Edward Hooper, Jasper Johns, Mike Kelley, Glenn Ligon, Robert Longo, Paul McCarthy, Wangechi Mutu, Bruce Nauman, Alice Neel, Louise Nevelson, Elizabeth Peyton, Cindy Sherman, Rudolf Stingel, Henry Taylor, Andy Warhol, etc. Shinique Smith at The National Museum of Women in the Arts, Washington, D.C.
Shinique Smith in the group exhibition NO MAN'S LAND, Women Artists from the Rubell Family Collection at The National Museum of Women in the Arts, Washington, D.C. 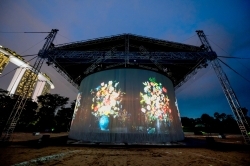 The video installation On Reflection by Ori Gersht is included in The Curtain Call project designed by Ron Arad in Singapore. 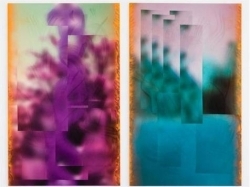 Our current solo show by Deborah Kass is featured on Blouin Artinfo. 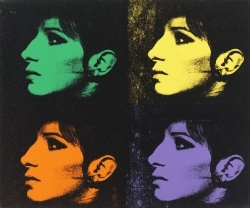 We're pleased to announce the representation of the American artist Deborah Kass. 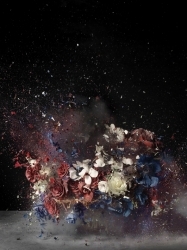 Ori Gersht in the group exhibition Bedazzled at The Lehman College Art Gallery, New York, NY. 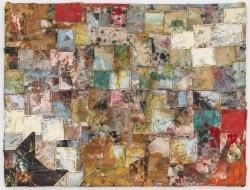 Other artists: El Anatsui, Damien Hirst, Liza Lou, Beatriz Milhazes, Marilyn Minter, James Rosenquist, Mickalene Thomas, etc. 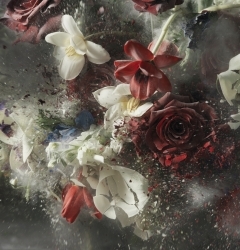 Ori Gersht in the group exhibition Baroque Nur Schoner Schein at The Reiss Engelhorn Museen, Mannheim, DE. 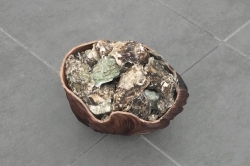 Folkert de Jong at the Busan Biennale 2016. 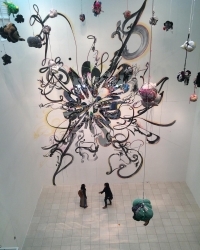 Shinique Smith at Busan Biennale 2016, Busan, KR. 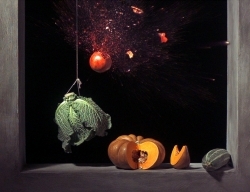 Ori Gersht in the group exhibition Past/Present/Future at The Grand Rapids Art Museum, Grand Rapids, MI. 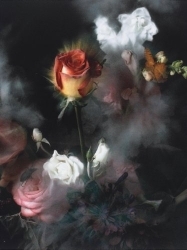 Ori Gersht in the group exhibition Luscious Thrills - Baroque reflections then and now at Gammel Holtegaard Kunsthalle, Attemosevej, DK. 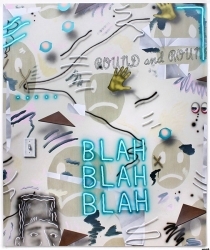 Other artists: Elmegreen & Dragset, Jeppe Hein, Damien Hirst, Sam Taylor-Johnson, Francesco Vezzoli, etc. Ori Gersht in the group exhibition Dining with the Artist at The Van Gogh Museum, Amsterdam, NL. An interview to Raffi Kalenderian is featured on The Huffington Post. 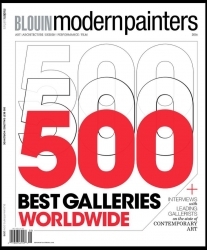 We're pleased to announce that the gallery has been included for the 3rd year in a row in the list of the "500 Best Galleries Worldwide" on the summer issue of Modern Painters. Ori Gersht in the group exhibition Curtain Call at Round House, London, UK. Others artists: Ron Arad, Matt Collishaw, Christian Marclay, David Shirgley, etc. 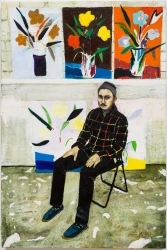 Ry David Bradley in the group exhibition Painting. 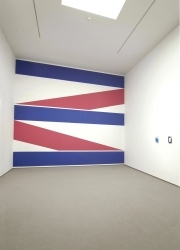 More Painting (Chapter One) at ACCA Australian Centre for Contemporary Art, Melbourne, AU. Kate Steciw is featured in the article "Brighter Than a Billion Sunsets" on HARPER's Magazine. 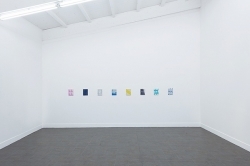 Our current solo show by Nicolas Lamas & the group show Life Eraser are reviewed on Artribune. Shinique Smith is featured in the article "18 Female Artists Give Advice to Women Starting Outin the Art World" on Artnet. 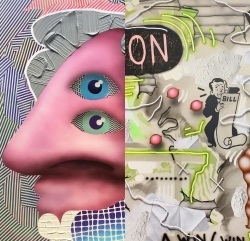 Josh Reames & Letha Wilson are featured in the article "For the Diary: Group Exhibition MirrorMirror Opens at Eric Firestone Gallery" on Blouin Artinfo. 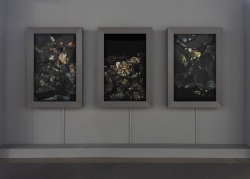 Letha Wilson in the group exhibition Future Perfect: Picturing the Anthropocenea at University Art Museum Albany, Albany, NY. 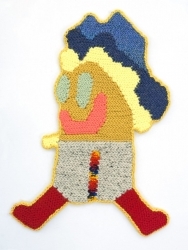 Shinique Smith in the group exhibition Natural Pops! at Wave Hill - New York Public Garden and Cultural Center, New York, NY. 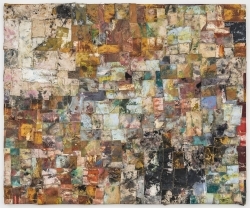 Letha Wilson in the group exhibition Ways and Means: A New Look at Process and Materials in Art curated by Jason Andrew at 1285 Avenue of the Americas Art Gallery, New York, NY. July 11, 2016-October 7, 2016. 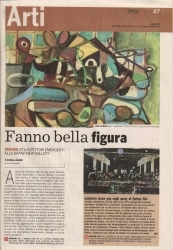 Our current group exhibition Life Eraser is featured in the article "The five shows to see this July" on Il Sole 24ore. Our current solo show by Nicolas Lamas' is featured on Daily Lazy: Cultura Spettacolo. 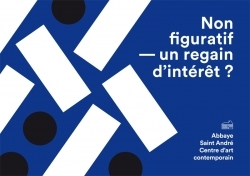 Paul Czerlitzki in the group exhibition NON FIGURATIF: un regain d'intéret? 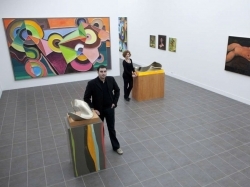 at Centre d'art contemporain de Meymac, Meymac, FR. 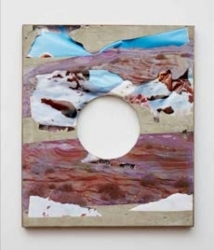 Other artists: Trudy Benson, Katharina Grosse, Bernard Frize, Fiona Rae, Jessica Stockholder, Blair Thurman, Janaina Tschape, Wallace Whitney, Peter Zimmermann, etc. 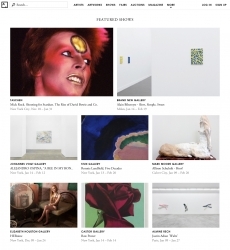 Our current group exhibition Life Eraser is featured on Daily Lazy magazine. 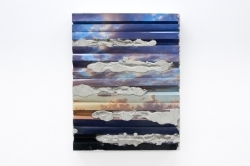 Our current solo show by Nicolas Lamas is featured on FLuXO. 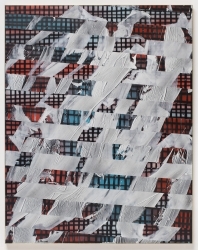 Our current solo show by Nicolas Lamas is featured on ArtViewer. 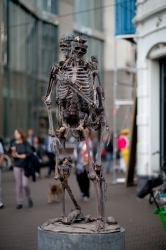 The new sculpture Dutch Mechanisms by Folkert de Jong is included in the public project The Sculpture Gallery, The Hague, NL. 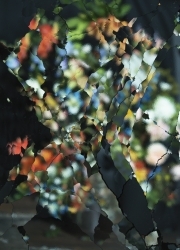 Ori Gersht in the group exhibition Prix Pictet - Disorder at The Municipal Gallery of Athens, Athens, EL. 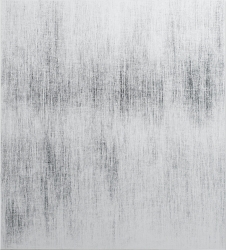 Ori Gersht in the group exhibition Embracing the Contemporary: The Keith L. and Katherine Sachs Collection at Philadelphia Museum of Art, Philadelphia, PA. Other artists: Joseph Beuys, Louise Bourgeois, Robert Gober, Jasper Johns, Ellsworth Kelly, Anselm Kiefer, Brice Marden, Gabriel Orozco, Charles Ray, Gehrard Richter, Kiki Smith, Cy Twombly, Jeff Wall, etc. 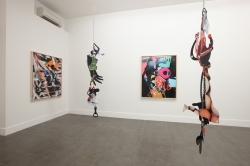 Our current shows by Folkert de Jong & Chris Hood-Zach Reini are reviewed on Artribune. 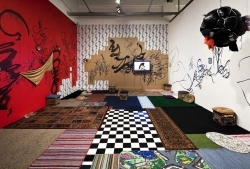 Shinique Smith in the group exhibition Modern Heroics at Newark Museum, Newark, NJ. 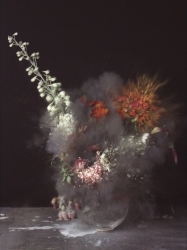 Ori Gersht in the group exhibition Alchemy of Words at Tel Aviv Museum of Art, Tel Aviv, IL. 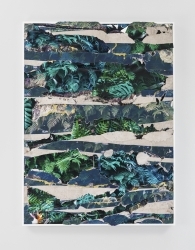 Letha Wilson in the group exhibition Woven curated by Xaviera Simmons at 60 Wall Gallery, Deutsche Bank, New York, NY. 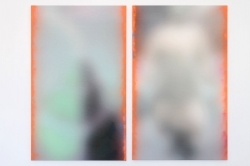 Ori Gersht in the group exibition Immerse at Sandnes Kulturhus, NO. 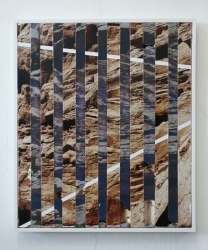 Kate Steciw is featured in the article "Photos Become Sculptures in The Collage-Like Works" by Rodrigo Campuzano on The Creators Project. 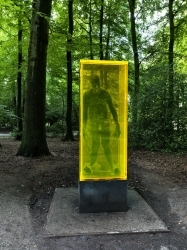 Folkert de Jong in the group exhibition Sonsbeek 2016 at Sonsbeek International, Arnhem, NL. 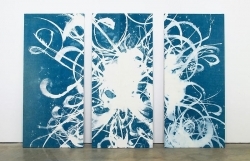 Jackie Saccoccio in the group exhibition Confronting the Canvas: Women of Abstraction at MOCA Jacksonville, Jacksonville, FL. 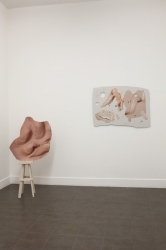 Our current shows by Folkert de Jong & Chris Hood-Zach Reini are featured on Mousse magazine. Folkert de Jong in the group show Summer Exhibition at The Fields Sculpture Park, Omi International Arts Center, Ghent, NY. A double interview to us and the artist Josh Reames and Kate Steciw is featured on MEME Cult Magazine. 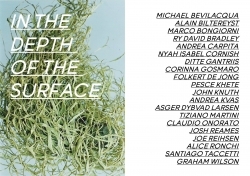 Alain Biltereyst, Ry David Bradley, Folkert de Jong, John Knuth, Josh Reames, Joe Reihsen & Graham Wilson in the group exhibition In The Depth Of The Surface, curated by Andrea Carpita at Ex Fabrica Orobia 15, Milano, IT. 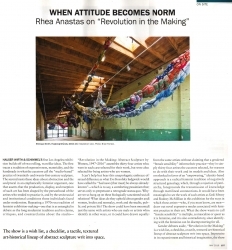 Shinique Smith is featured on the article "When Attitude becomes Norm" on Artforum, May issue. Josh Reames in the group exhibition New American Paintings: Midwest Edition at Elmhurst Art Museum, Elmhurst, IL. 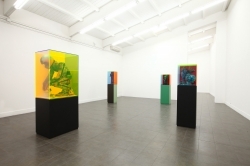 The solo show by Folkert de Jong is featured in the article "Ten shows to see in May" on ArtReview. 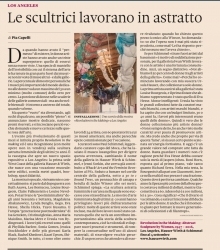 Shinique Smith is featured in the article "Le scultrici lavorano in astratto" on Il Sole 24 Ore newspaper. 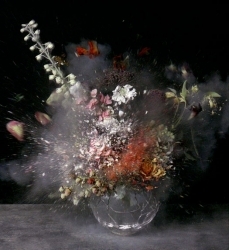 Ori Gersht in the group exhibition About Time at the San Francisco Museum of Modern Art, San Francisco, CA. 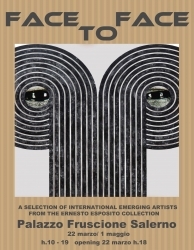 Other artists: Henry Cartier-Bresson, Phil Chang, Owen Kydd, Jason Lazarus, Zoe Leonard, etc. 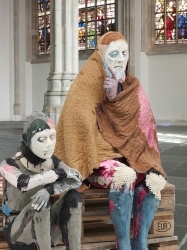 Folkert de Jong in the group exhibition Once in a lifetime at Oude Kerk, Amsterdam, NL. 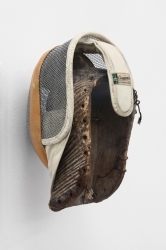 Other artists: Michael Borremans, Amie Dicke, Muntean / Rosemblum, Yehudit Sasportas, etc. 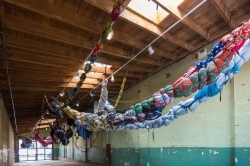 Artist Talk by Shinique Smith at Hauser Wirth & Schimmel sunday 8th May. 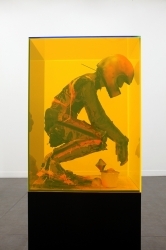 Folkert de Jong in the group exhibition GlassFever at Dordtyart, Dordrecht, NL. 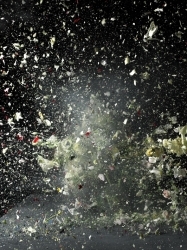 Ori Gersht in the group exhibition But a Storm Is Blowing from Paradise: Contemporary Art of the Middle East and North Africa at the Solomon R. Guggenheim Museum, New York, NY. 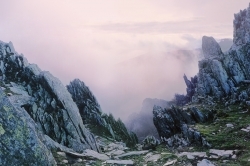 Ori Gersht in the group exhibition Beyond the Pale: The art of Revolution at Highlanes Gallery, Drogheda, IE. 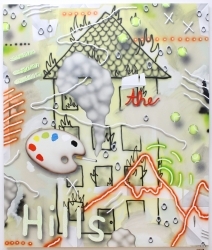 Our current solo shows by Josh Reames & Kate Steciw are featured on Mousse magazine. 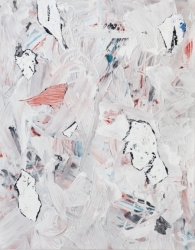 José Lerma & Josh Reames are featured in the article "Painting Picks from Dallas Art Fair" on New American Paintings. 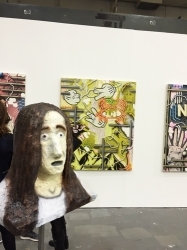 Paul Czerlitzki is featured in the article "What Sold at Art Cologne" on ARTSY. 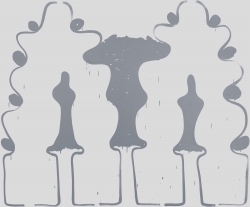 A video about Ry David Bradley is featured on Vernissage TV. Joe Reihsen is featured in the article "Art Market: Quest for the young collectors" on the FINANCIAL TIMES. 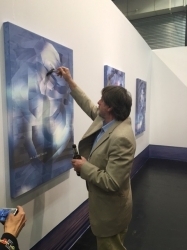 Ry David Bradley is featured in an article about Art Cologne on Artnet. 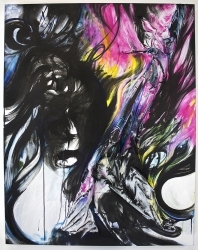 Josh Reames' solo exhibition at our gallery is featured on Aujourd'hui magazine. 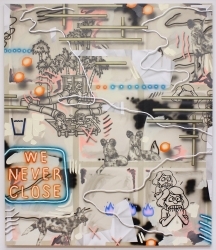 Ry David Bradley is featured in the article "9 Emerging Artists to Discover at Art Cologne" on Artspace. 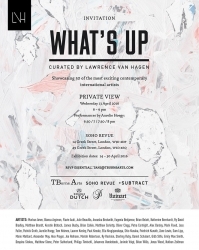 Ry David Bradley, Joe Reihsen & Johannes VanDerBeek in the group exhibition WHAT'S UP, curated by Lawrence Van Hagen at Soho Revue, London, UK. 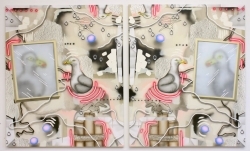 Other artists: Brian Bellott, Katherine Bernhardt, Matthew Brandt, Brian Calvin, Matthew Cerletty, Mark Flood, Ella Kruglyanskaya, Shio Kusaka, Friedrich Kunath, Alex Prager, Ry Rocklen, Sterling Ruby, Emily Mae Smith, Jonas Wood, etc. 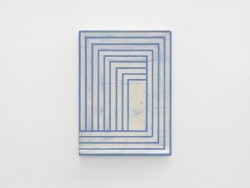 Graham Wilson in the group exhibition Texture and Liquidity at The Workbench International, Milan, IT. 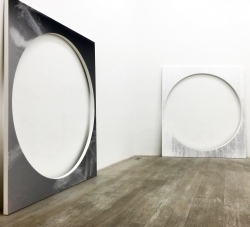 Joe Reihsen is featured in the article "An Interview with the Young Curator Lawrence Van Hagen in Mayfair, London" on Arteviste. 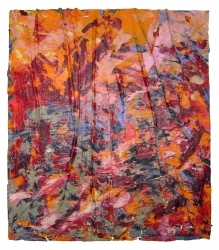 Joe Reihsen is featured in the article "Curator's Column - Lawrence Van Hagen on WHAT'S UP at Soho Revue" on After Nyne. 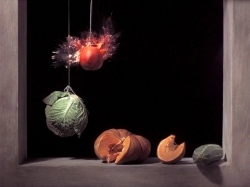 Ori Gersht in the group exhibition (Not So) Still Life at Wave Hill Museum, New York, NY. Kate Steciw is featured in the article "Kate Steciw to Show Her Latest Works in Milan Exhibition" on WIDEWALLS magazine. 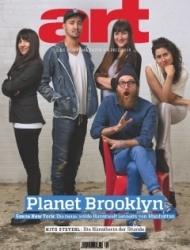 Angel Otero is on the cover of the german magazine Art. 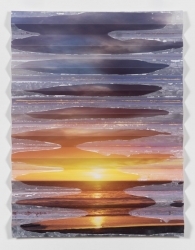 John Knuth in the group exhibition Doppelgänger at Torrance Art Museum, Torrance, CA. 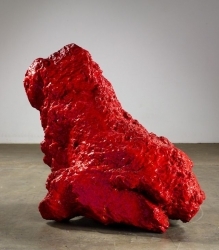 Bosco Sodi is featured in the article "Where in the World Is Bosco Sodi?" on Bluoin Artinfo. 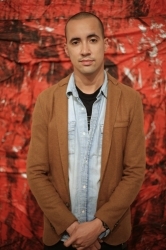 Angel Otero in the group exhibition Surface Tension at Studio Museum in Harlem, New York, NY. We're pleased to announce the participation of Martin Basher, Ry David Bradley, Henry Codax, Amy Feldman, John Knuth, Brian Kokoska, Shawn Kuruneru, Ryan McNamara, Joe Reihsen, Zach Reini, Kasper Sonne, Graham Wilson & Letha Wilson in the group exhibition FACE TO FACE: Works from Ernesto Esposito Collection, Palazzo Fruscione, Salerno, IT. Shinique Smith in the group exhibition 30 Americans (organized by The Rubell Family Collection) at Cincinnati Art Museum, Cincinnati, OH. 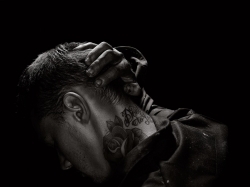 Other artists: Jean-Michel Basquait, Mark Bradford, David Hammons, Rashid Johnson, Glenn Ligon, Kerry James Marshall, Wangechi Mutu, Henry Taylor, Mickalene Thomas, Kara Walker, Kehinde Wiley, etc. 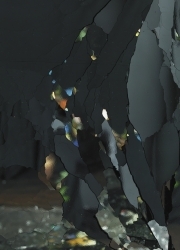 Solo exhibition Project Atrium: Shinique Smith at MOCA Jacksonville, Jacksonville, FL. 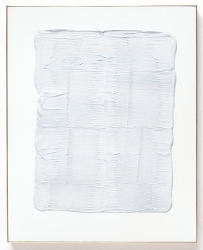 An interview to Angel Otero is featured on Paddle8. Our current solo show by Paul Czerlitzki & the group show IMAGINE are featured on Mousse magazine. 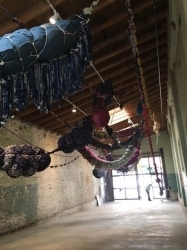 Shinique Smith is featured in the article "New Kid in Town: Hauser Wirth & Schimmel Opens in Los Angeles" on ARTNEWS. 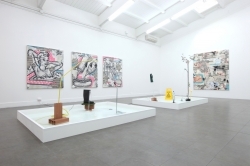 Our current solo show by Paul Czerlitzki & the group show IMAGINE are reviewed on Artribune. Folkert de Jong is featured in the article "Contemporary Works at Tefaf Convey a Sense of Vulnerability" on The New York Times International. 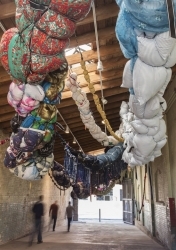 Shinique Smith is featured in the article "Form Over Feminism: A Walktrough Hauser, Wirth & Schimmel's Debut Show in LA" on Blouin Artinfo. 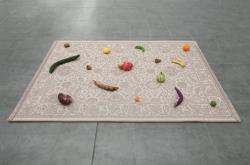 Solo exhibition New Religion by Kasper Sonne at Herning Museum of Contemporary Art, Herning, DK. Letha Wilson in the group exhibition Fine words butter no parsnips however fine parsnips can butter words at the Present Company, Brooklyn, NY. Shinique Smith is featured in the article "A Revolution in the Making" on KCRW. Folkert de Jong in the group exhibition Waanzin en werkelijkheid: Werken uit Rabo Kunstcollectie en Verzameling Würth at Kunstlocatie Wurth, Den Bosch, NL. 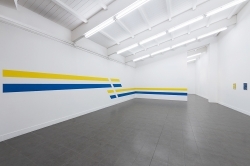 Alain Biltereyst in the group exhibition FORMS FOLLOWS FUNCTION? presso Hugo Voeten Art Centre, Herental, BE. 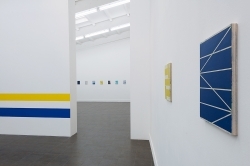 Solo exhibition Anna's by Paul Czerlitzki at Leopold Hoesch Museum & Papiermuseum Duren, Duren, DE. An article about our current group show IMAGINE is featured on the newspaper Corriere della Sera. Graham Wilson is featured in an article about ARCOmadrid fair on Il Sole 24 ORE.
Ori Gersht in the group exhibition Naples Collects at The Baker Museum, Artis–Naples, Naples, FL. 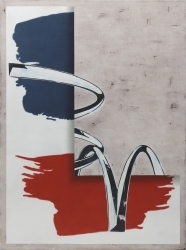 Other artists: El Anatsui, Alexander Calder, John Chamberlain, Chuck Close, Teresita Fernandez, Alex Katz, Roy Lichtenstein, René Magritte, Robert Mapplethorpe, Henri Matisse, Claude Monet, Henry Moore, Pablo Picasso, Robert Rauschenberg, Man Ray, Andy Warhol, Ai Weiwei, etc. Our current solo show by Alain Biltereyst & the group show GREY curated by Domenico de Chirico are featured on Mousse magazine. 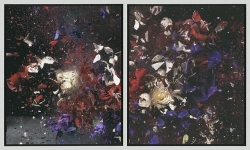 Ori Gersht is featured in the article "Art Inspired by Nature" on Sen3 Projects. 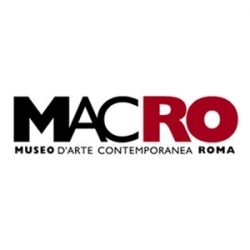 Ori Gersht in the group exhibition Prix Pictet - Disorder at MAXXI Museum, Rome, IT. Angel Otero in the group exhibition Nexo / Nexus: Latin American Connections in the Midwest at DePaul Art Museum, Chicago, IL. 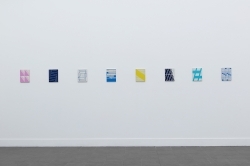 Our current solo show by Alain Biltereyst & the group show GREY curated by Domenico de Chirico are reviewed on Artribune. 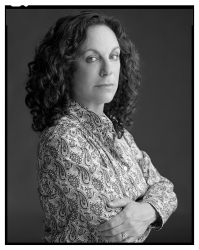 Amy Feldman is featured in the article "Dawn of the Dead" by Kenny Schachter on Monopol Magazin. 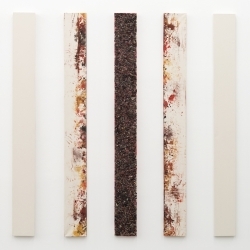 Alain Biltereyst's solo exhibition at our gallery is featured on Fisk Frisk magazine. 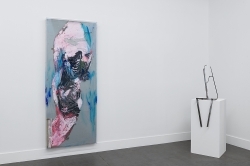 Our current solo show by Alain Biltereyst & the group show GREY curated by Domenico de Chririco are featured on A Raw Tip. 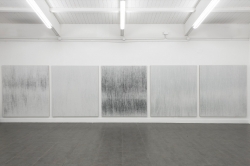 Our current solo show by Alain Biltereyst & the group show GREY curated by Domenico de Chirico are featured on ARTINSIDE. 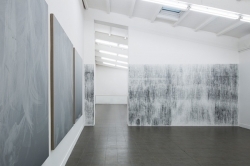 The exhibition by Alain Biltereyst is included in the "featured shows" of the week on ARTSY. We're pleased to announce that Ry David Bradley's works Border Protection #6 & #7 are now officially part of the permanent collection of National Gallery of Victoria, Melbourne, Australia. 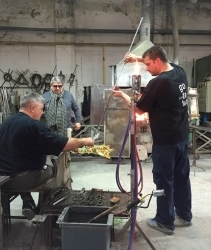 An interview to Graham Wilson by Vincenzo Della Corte is featured on A Raw Tip. 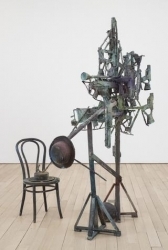 Ry David Bradley is featured in the article "My Space: Kathy Grayson" on Christie's magazine. 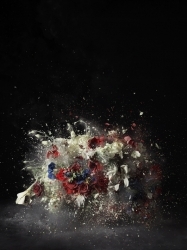 Ori Gersht in the group exhibition Prix Pictet - Disorder at Somerset House, Strand London, UK. 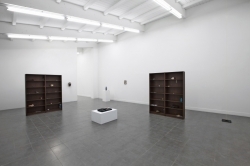 Graham Wilson's exhibition I Clocked Out When I Punched In at our gallery was reviewed on ARTFORUM's January issue.